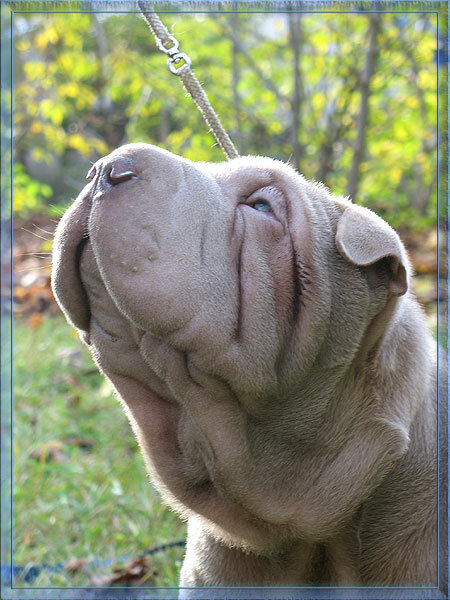 We, Valery Savitskiy (the owner of the Best Pearl Kennel) and Irina Kolosova (the owner of the Art King Kennel),are glad to welcome you on our site devoted to Chinese sharpei breed. Unusual appearance of these dogs bewitches many people, and, undoubtedly, sharpeys of blue, chocolate and lilac colours will delight you greatly! First we got a sharpey of blue colour Antuan Tai-Li Gimli (Gima). His goodnature, attachment to people, his gold character delights us. And his artistry and show spirit is always appreciated by experts. Now we are lucky owners of 7 sharpeys. Chocolate Antuan Tai-Li Elisey Korolevich (Choc) has been successfully shown at many exhibitions. He finished his title Junior Champion of Belarus at the age of 10 month!!! Cream-coloured (blue and lilac) sisters Antuan Tai-Li Fiona and Fantasia have already pleased us with puppies of excellent quality and strong health. We have left one of them, lilac Antuan Tai-Li Klondaik Best Pearl (Chak) with us. Two female dogs, blue Vartdiv Nice Art King (Nastya) and chocolate Aisti Ileal Thaiskaya Krasavitsa (Мargo), will start their show career soon. Our dogs have RKF and BCU pedigrees, and our puppies can be registered in any cynological organization included in FCI. You can receive more detailed information about our sharpeys visiting our pages Our Females, Our Males and Our Puppies. The health of our dogs has always been the most important thing for us, because it’s so painful to lose an early-aged dog. There are many long-livers among the ancestors of our dogs, which lived 8-10 years. In our kennel you can buy a sharpey puppy for shows, for breeding and just for your soul. We will always help you to bring the puppy up, we will help to make his show career if you wish, we will take care of the puppy when you are away and we will work with the best vets in case of his unexpected illness. 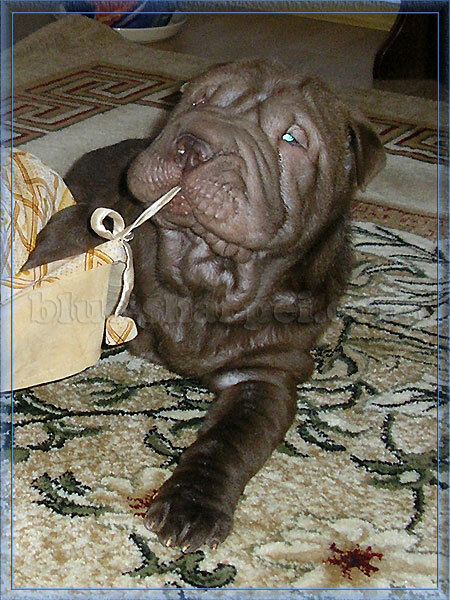 We feel hope that puppies of rare colours, born from our dogs, will please their owners not only with good character, but with good health for many years.
.: Use of materials of a site without the permission of the owner is forbidden :.